According to projections, the world will need to produce 70 percent more food by 2050 to feed its growing population. But with water shortages expected to affect two-thirds of the world within twelve years, that will be no mean feat. We have already seen the Swiim System encourage more efficient uses of resources by enabling farmers to ‘lease’ out surplus water to others, and now CropX is a smart irrigation optimization system which enables farmers to keep their water usage as low as possible. Soil quality can vary widely within a field, but most farmers treat all land uniformly. 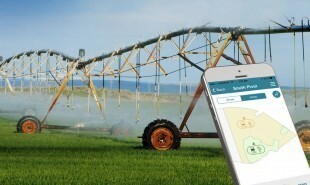 CropX enables farmers to minimize water use and augment yield by dividing land into irrigation zones, informed by soil type, land topography and current moisture. CropX is comprised of wireless, battery-powered sensors which are placed in the ground and continuously send soil readings to the cloud. The system then uses pattern-recognition analysis and algorithms to determine how to efficiently water different parts of the field. Farmers interact with the system using a simple smartphone app. 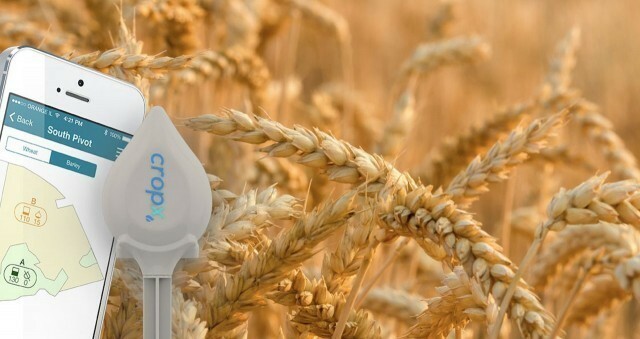 CropX is currently in farms in Missouri, Colorado and Kansas, and the farmers using the system have reported water and energy savings of up to 25 percent. The company recently gained USD 9 million in Series A funding which will enable it to expand its operation and develop new product tools, including controls in nutrition, plant protection, and planting and harvesting prediction. How else could data be used to streamline resources in vast operations like farming?